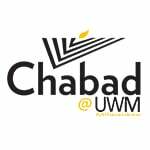 Does Chabad feel like your home away from home on campus? Would you love to get involved, and help shape Chabad into the future as an even greater and better community? • Supervise and coordinate the activities of the organization. • Preside over all meetings and call all meetings to order. • Maintain communication with the Center for Student Involvement and ensure that all paperwork is current. • Be responsible for creating a budget for events and apply for funds from SA, in conjunction with the Treasurer. • Ensure that all officers are performing their duties as defined by their positions. • Keep Rabbi Chezky informed of activities and functions of the board. • Provide all documents and records pertaining to his/her responsibilities to the newly-elected President. • Assign special projects to officers. • Be responsible for creating a budget for events and apply for funds from SA, in conjunction with the President. • Assist with receiving SA grants for special events as assigned by the President. • Manage Chabad's Social Media e.g. Facebook, Twitter, Instagram. Please explain why you think you can successfully fill the position you chose. Commitment: Must be prepared to serve a full semester on the executive board. Board members must attend scheduled meetings (typically monthly). Board members are expected to be at Shabbat dinners a minimum of once per month. Board members are also expected to be at major events. I am excited to be a Chabad Executive Board Member!